Reports of the Billy bookcase’s death are greatly exaggerated. We talk with IKEA to clarify misinformation spread by several news outlets. 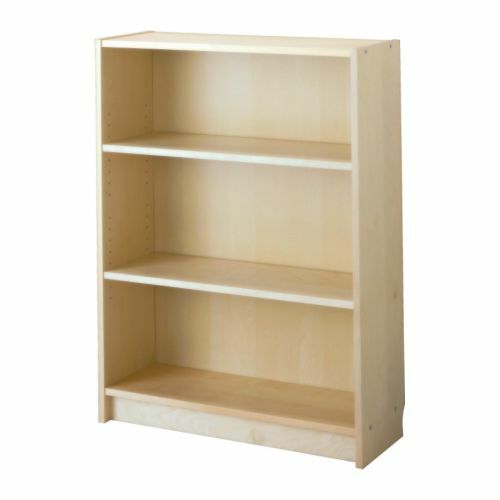 On September 10, 2011, The Economist published a story suggesting that IKEA was changing its Billy bookcases because of decreased demand in books. The news spread like wildfire on Twitter, causing additional alarm as irresponsible reporters further fanned the flames without bothering to call anybody. But in a Tuesday afternoon telephone conversation with IKEA public relations manager Marty Marston, Reluctant Habits learned that the Economist‘s story is false and exaggerated. The Billy bookcase with the 11 inch depth will still be stocked. Production will not be curtailed. An additional Billy bookcase, with a 15 inch depth, will be introduced in all countries — an effort to respond to how customers are presently living their lives. Marston observed that Billy has been adapted numerous times to keep up with lifestyle developments. Ten to twelve years ago, there were new versions of the shelves introduced after customers required new methods of storing their CDs and DVDs. Much like those adaptations, the new 15 inch bookcases are being introduced to “give more flexibility” to consumers. Are Scandinavian bigwigs aware of current developments in the book market? As it turns out, not only had the 15 inch bookcase been in development for a period of eighteen months to two years. Ebooks didn’t factor at all into the decision. If Billy is being modified to store other items, is it still a bookcase? Does the firm truly reckon that “customers will increasingly use them for ornaments, tchotchkes and the odd coffee-table tome—anything, that is, except books that are actually read,” as The Economist claimed? Not at all. She suggested that the Swedish furniture giant was more interested in how people might use their flat screen TVs than ebooks. I considered telling Marston that a book was possibly more enticing after you cracked it open. But I stayed silent. Marston had, after all, been very helpful and was kind enough to answer all of my questions. Perhaps the most alarming part of this story — aside from the silly idea that a Swedish furniture chain could unilaterally put a stop to the many woodworkers and designers who are still building robust bookcases despite this flimsy hysteria — is how quick so many alleged professionals jumped on the Economist‘s lead without bothering to check it out with IKEA. Indeed, cultural journalism has become so lazy in recent years that The Los Angeles Times, The Christian Science Monitor, The Wall Street Journal, The Week, Time, The Daily Mail, and The Consumerist all ran stories repeating this misinformation without bothering to investigate. Not less than a decade ago, such unpardonable amateurism would have earned at the very least a knuckle rap from the ombudsman. Only The Village Voice‘s Rosie Gray thought to raise a skeptical flag. NPR, at least, thought to contact a spokesman for a short clarification. The Billy bookcase is not going away. It is not being changed because of the book market. Now go drink your Lingonberry.